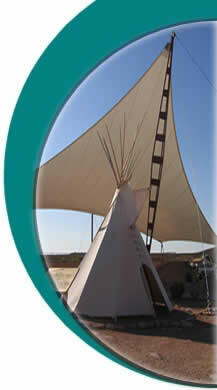 Welcome to our website, the Sail Structures team looks forward to working with you and/or your organization. This Site has been designed to provide you with general information about Tensioned Fabric Structures for shade and shelter. Commonly referred to as Shade Sails, properly conceptualized, designed and installed they have evolved from the basic box shapes and canopies to three dimensional synclastic and anticlastic forms, which provide more synergistic solutions suitable to virtually any area. Known for our unique designs, we have been designing and installing custom sails and shade structures for over a decade and have pioneered many of today's dramatic shapes and styles. Today, the company specializes in more technically demanding projects and applications which focus on form and function (via software driven programs) utilizing high tech PVC and PTFE waterproof fabrics. If you are considering the purchase of Shade Sails, or Tensile Structures, be sure you are buying from a reputable supplier with a proven track record. Try to make the time to visit some installations in your area. A well designed, manufactured and installed sail will not only provide shade, it will also add a dramatic yet elegant appeal to the eye, and create an inviting enviroNment. It should of course, be made from the very best UV stabilized materials, so you receive the most from your investment. With thousand of sails installed throughout the world and now with a corporate office in Phoenix, Arizona you can be confident that Sail Structures USA & Structureflex will well exceed your needs and expectations with our products and services - We guarantee it. Thank you for visiting us at Sail Structures USA, whether your application is large or small, commercial, domestic or international, Sail Structures USA can design, manufacture, and install a tensile fabric solution to suit your needs. We look forward to working with you on your next project The Team at........... Sail Structures USA. SCHOOLS, INDUSTRIAL, PREMIUM DOMESTIC, & COMMERCIAL. The opinions expressed in this site are ours and are not those of suppliers or manufacturers - while every effort is made to ensure accuracy there may be errors in any of the content.